A: Sorry, but I can’t help you much other than to say it has the characteristics of several cultures from different parts of West Africa. 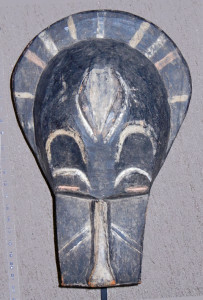 Though helmet style in construction, it is too small to have been made for actual use. Probably it was intended for sale as a souvenir. 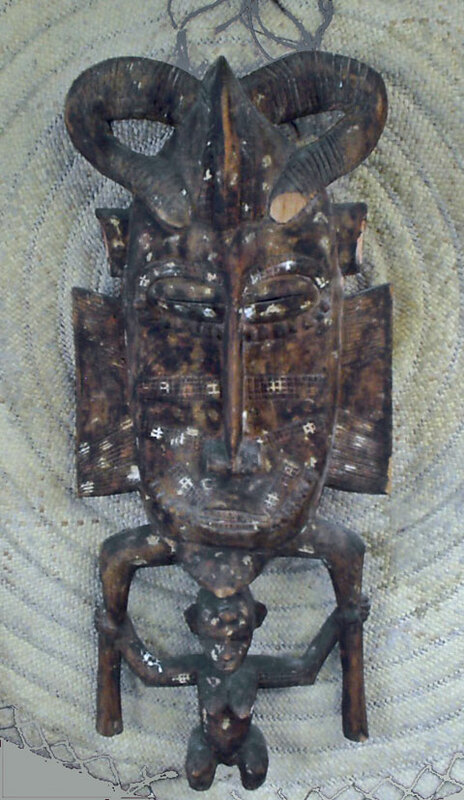 But there could be interesting things to learn about this piece, whether it is commercial or genuine. 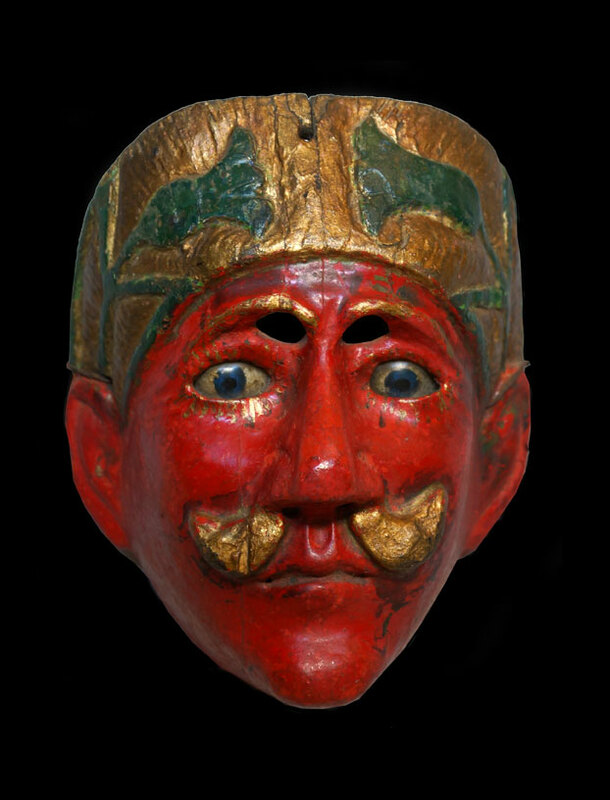 As we all know, African mask collecting can be challenging. 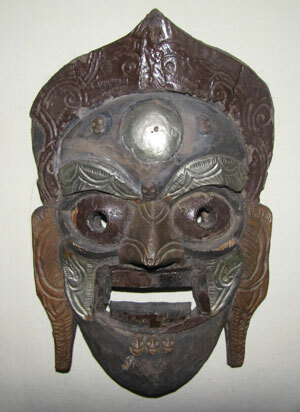 Huge numbers of mask are constantly made to be sold for tourism and export. 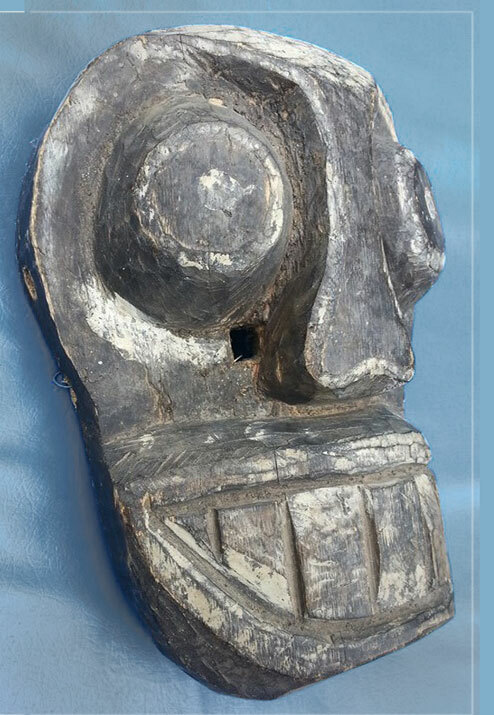 Some are reproductions of traditional masks and others are different. 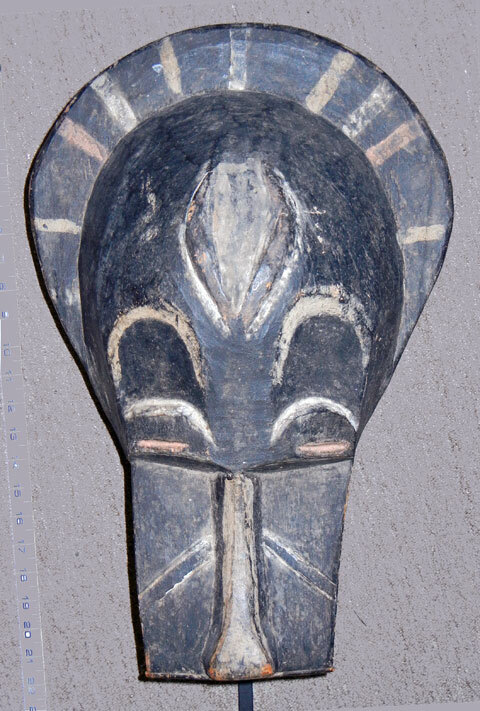 At the same time, new kinds of used or new masks are turning up in the marketplace because masquerade is still practiced in much of Africa, and this process continues to evolve. I just received this from David. 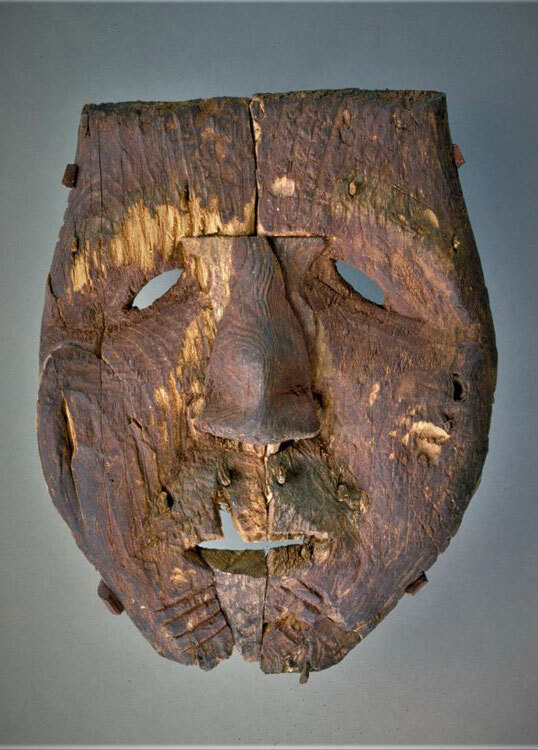 This mask is much larger than originally stated. Thanks for looking at this. I’m not sure where you got 9 inches from. I had the tape measure in there… it is about 22″ top to bottom and about 14″ across the front. Does that help or change anything?